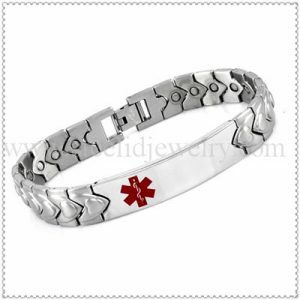 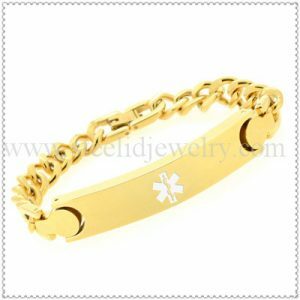 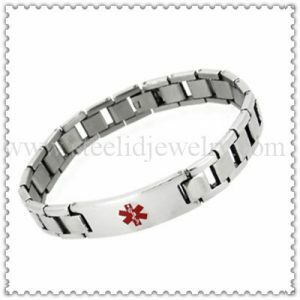 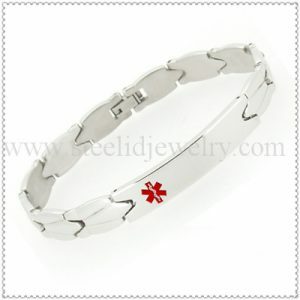 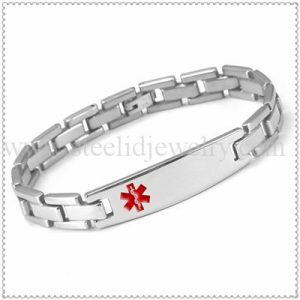 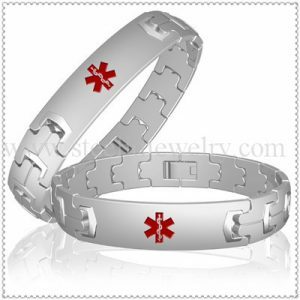 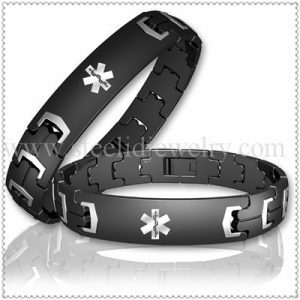 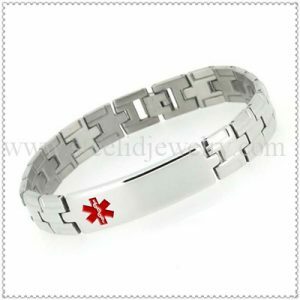 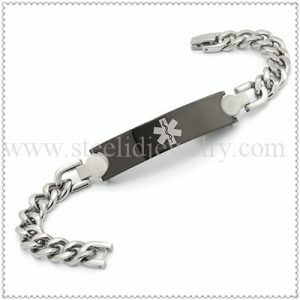 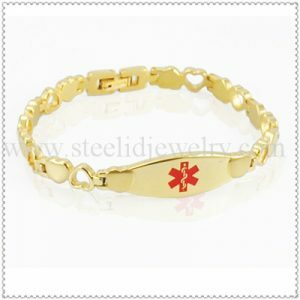 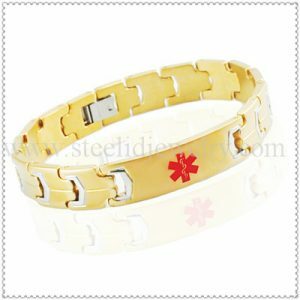 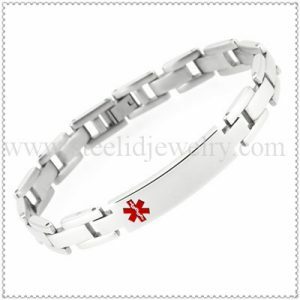 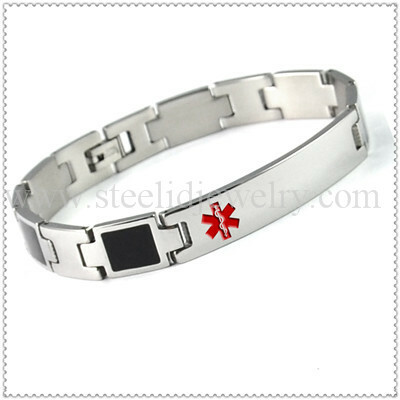 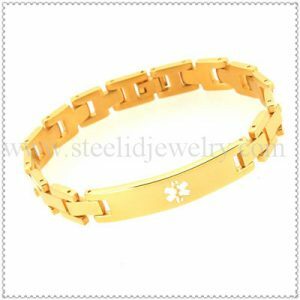 Stainless steel links with 45mm steel id plaques, 7.5″~8.5″ length, size can be customized. 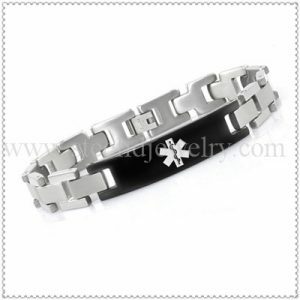 This bracelets with silver and black color,very Contempo and simple. 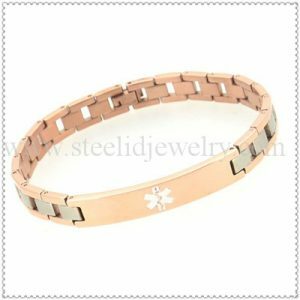 it brings you peace of mind that will stand the test of time.